By the sun of grace, then we see everything as it is. Sri Chaitanya Mahaprabhu, He gave this beautiful verse. But because of this fog, we are going all in the wrong places trying to find it and we keep crashing into each other in the fog. Yes? Whenever we have battles, ego battles, whether it be with our husband or our wife or with our friends or with people we work with or between nations or between religions, it’s because of this fog, we are just crashing into each other. And it hurts. So when the fog is there, we all crash into each other. You see, in this fog, in Jharikhanda forest, the deer were thinking, “I am a deer”, and the tigers were thinking, “I am a tiger”. And the deer were running in fear from the tigers and the tigers were leaping on the deer and sucking their blood and eating their flesh. But actually, they were not deer or tigers. They were pure atma, pure souls. They are pure lovers of God. It’s only the fog that gives them those misconceptions. It’s only the fog that creates such antagonism between them. But when Sri Chaitanya Mahaprabhu glanced upon them and induced them to chant the holy names “Hari”, then the fog was lifted. And what happened? The deer saw the tigers as their lovers. Instead of running from the tigers, the deer were running to the tigers. And instead of the tigers eating them, the tigers were embracing them and protecting them, “Just stay with me, I’ll protect you. If anybody comes to hurt, you just tell me”. They were embracing, they were kissing. Not romantic kissing, but with spiritual love. Who is the true lover? We understand who I am? I am sat-chid-ananda, I am eternal, I am full of knowledge, I am full of bliss. Why? Because I am part of Krishna, who is sat-chid-ananda vigraha. And everyone is. You see, there can’t be false ego when we understand the beauty. 6 Responses to "Purpose of Yoga"
very true we really need to see through the fog clearly …..!!! beautiful explanation of ‘meaning of Yoga”. 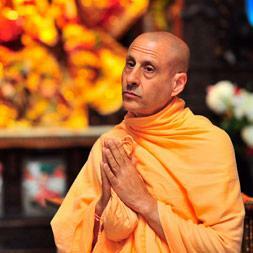 Thank you HH Radhanath Swami. Otherwise we see nowadays people using the term “Yoga” for anything and everything other than the meaning explained in this article. Thanks Maharaj for clearing the fog which was blocking us from the real meaning. 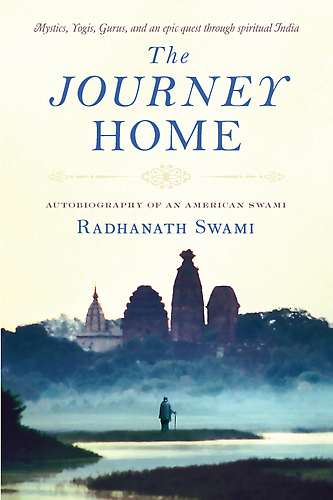 Beautiful narration from HH Radhanath Swami. Purpose of Yoga is to gi above the level of Body and cultivate real Love of God. Thank you. Such powerful revealations of how we are in deep ignorance of our true nature! 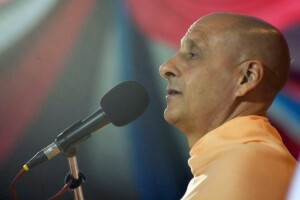 This fog of ignorance can be slowly lifted by chanting the holy names of the Lord and hearing from realized spiritual masters.